Tangier, the capital of the Tétouan Region has a rich history due to the historical presence of many civilizations and cultures that conquered this area from the 5th century BC. Tangier sits at the western entrance to the Strait of Gibraltar where the Mediterranean meets the Atlantic Ocean off Cape Spartel. This beautiful city, only 35 minutes from Spain by modern hydrofoil or two hours by normal ferry boat service, has a hugely multicultural society, predominantly Muslim, but with small Christian, and Jewish communities who express tolerance for one another. 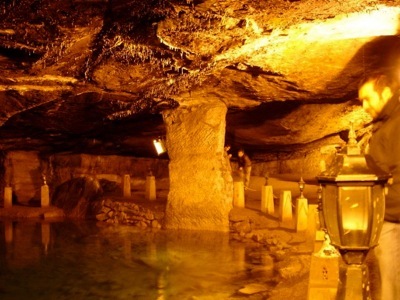 Moroccan travelers who wish to visit Tangier from Spain can take a one day private excursion to Tangier’s Cap Spartel and the Cave of Hercules along with Tangier’s sites, museums and cafes. This makes for the perfect private Tangier tour whether you are coming by ferry from Spain to Tangier or from Casablanca to Tangier. In the 1950’s, Tangier was a place –and, sometimes a refuge– for many artists and writers from America and Europe. This port city that is shaped by the sea has attracted famous writers including Paul Bowles, Tennessee Williams and Truman Capote. Writers of the “Beat Generation” who visited or lived in Tangier include Jack Kerouac, William S. Burroughs, Allen Ginsberg and Brion Gysin, who was also a painter. Notable artists who lived and painted here were Eugene Delacroix and Henri Matisse. Celebrities who have stayed in Tangier include The Rolling Stones, who also recorded with the Master Musicians of Jajouka and Bachir Attar in the kasbah in 1989. Tangier was a favorite home to Woolworth heiress Barbara Hutton, whose lavish parties at Sidi Hosni put Tangier on the map in the international press during from the 1950s through the early 1970s. Forbes magazine publisher Malcolm Forbes held his 70th birthday party in 1989 at his Palais Mendoub for 800 guests, flown in from all over the word, spending over $2.5 million in a week-end celebration. Tangier is undergoing rapid development and modernization. Projects include new 5 star hotels along the bay, a modern business district called Tangier City Center, a new airport terminal and a new soccer stadium. Two other important investments in the region are in port of Tangier where millions of passengers and goods flow through it every year and also a new bullet train that will enable future tourists and Moroccans to travel from Tangier to Casablanca in just under 2 hours. ►After breakfast, your official tour of Tangier will begin. You will start your day with a city overview at the vantage point of the Colline de Bella-Vista. Then, drive to see the Grand Succo, a popular nighttime square close to the Mosque of Sidi Bou Abib and the link between Ville Nouvelle and the medina. ►Enter the medina at Rue Es-Siaghinie, the busiest part of this Roman medina lined with cafes and bazaars, a Spanish church, jewelers’ shops and an arts center displaying works depicting Tangier’s social history. Walk Petit Socco that was once the heart of the medina where businessmen and bankers frequented cafes, hotels, casinos and cabarets that have relocated to Ville Nouvelle. Move on to visit the Grand Mosque, built on the site of a Portuguese cathedral. Walking north, you will then visit the kasbah decorated with mosaics, ornamental stucco and woodcarving. ►Next to the Kasbah you will walk the ramparts and take a short break to relax by the breathtaking view of the port. Explore the Musée de Carmen-Macein exhibiting a collection of works by Picasso, Max Ernst and Georges Braque. ►Have a traditional Moroccan lunch in the city center of Tangier then explore Quartier du Marshan, once an attractive residential area west of the Kasbah. Next, visit the Anglican church of St. Andrew built to cater to Tangier’s growing British population. After, make a stop to appreciate fine works of art at Tangier’s Musée d’ Art Contemporain showcasing contemporary Moroccan paintings. ►In the mid afternoon, take a break and experience Tangier’s cafe scene at the Cafe Hafa on the Marchan, a popular meeting place for Tangier residents, a former favorite of Paul Bowles and other famous foreigners. Cafe Hafa boasts a terrace and gardens that overlook Gibraltar –perfect at sunset and is the perfect place for afternoon tea as is Cafe de Paris. All Tangier’s cafes offer a relaxing environment where you can meet locals even over a game of backgammon. ►In the evening enjoy a traditional Moroccan meal and live entertainment at Restaurant Hammad or instead dine sea side at one of the delightful places that serve food by the sea in Tangier. ►After breakfast of fresh squeezed orange juice, baguette and fresh fruit, departure from Casablanca to visit Tangier, a Moroccan port city with unique character. Heading north, you will enjoy views of the sea and deserted beaches that stretch to infinity. The road will be laced with ancient and interesting places to stop in such as the tropical gardens of Sidi Bouknadel, an exotic bird sanctuary in Mehdya and the European styled town of Kenitra, a port area whose land has been transformed by irrigation and is now one of Morocco’s major agricultural areas specializing in rice, sugar beet, cotton and citrus fruits. Nearby Kenitra, we can also stop in Thamusida to view the Roman baths on the banks of Wadi Sebou. ►Time permiting we will stop in Lixus, a UNESCO world heritage site, to briefly visit the Acropolis located on a hill above the town. After Lixus, we will drive directly through the seaside town of Asliah. ►For lunch we will stop in the charming coastal town of Asiliah, whose beach is one of the most quaint and beautiful in Morocco. Asiliah is frequented by Moroccans in summer and is less touristic then other seaside towns such as Essaouira and Agadir. ►After a seafood lunch, visit seaside Asiliah a blue and white washed city with commanding views of the ocean. There is also a lagoon where thousands of birds including herons, pink flamingoes, gannets, and sheldrake come to migrate during the months of December and January. 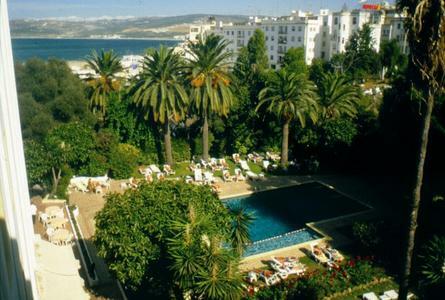 ► In Tangier, you will be transported to your hotel where you can have dinner and prepare for the next day’s activities. Options for an overnight stay include the fabulous Hotel El Minzah in Tanger that overlooks the seas, Riad Tanja, located in the medina or a private villa. 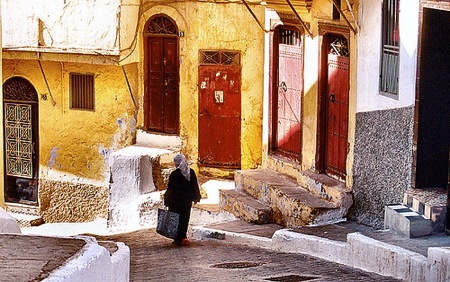 ►Enter the medina at Rue Es-Siaghinie, the busiest part of this Roman medina lined with cafes and bazaars, a Spanish church, jewelers’ shops and an arts center displaying works depicting Tangier’s social history. Walk Petit Socco, which was once the heart of the medina where businessmen and bankers frequented cafes, hotels, casinos and cabarets that have relocated to Ville Nouvelle. Move on to visit the Grand Mosque, built on the site of a Portuguese cathedral. Walking north, you will then visit the kasbah decorated with mosaics, ornamental stucco and woodcarving. ►Have a traditional Moroccan lunch in the city center then explore Quartier du Marshan, once an attractive residential area west of the Kasbah. Next, visit the Anglican church of St. Andrew built to cater to Tangier’s growing British population. After, make a stop to appreciate fine works of art at the Musée d’ Art Contemporain showcasing contemporary Moroccan paintings. ►In the mid afternoon, take a break and experience Tangier’s cafe scene at the Cafe de Paris, a popular meeting place for Tangier residents, a former favorite of Paul Bowles and other famous foreigners. ►In the evening enjoy a traditional Moroccan meal and live entertainment at Restaurant Hammad or instead tea at the Moroccan Cafe Hafa, an attractive restaurant with a terrace and gardens that overlook Gibraltar –perfect at sunset with dinner by the sea. All Tangiers cafes offer a relaxing environment where you can meet locals even over a game of backgammon. ►After breakfast departure from Tangier back to Casablanca. 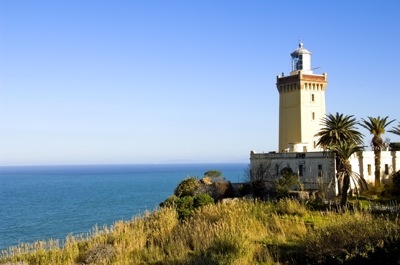 You are currently browsing the archives for the Costa Del Sol Excursions category.